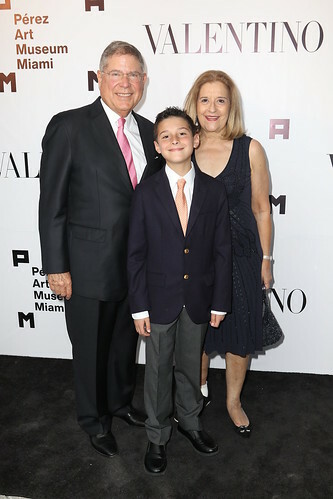 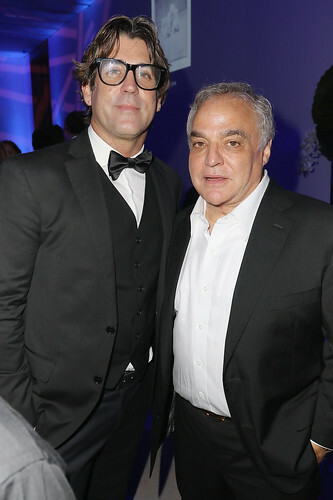 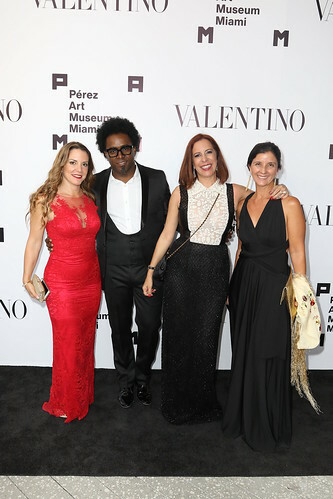 On Saturday, April 1, 2017, more than 1,000 art world luminaries, cultural philanthropists, civic leaders and artists attended PAMM’s Art of the Party presented by Valentino. 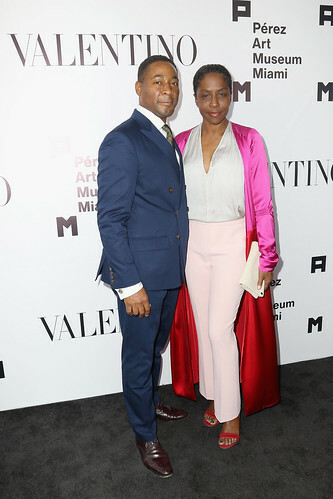 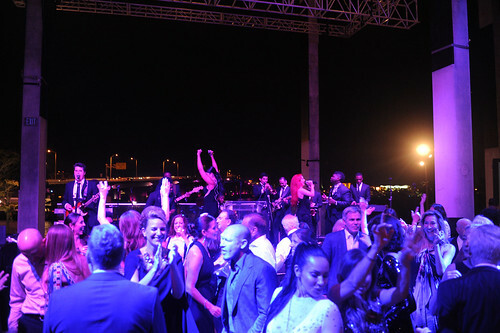 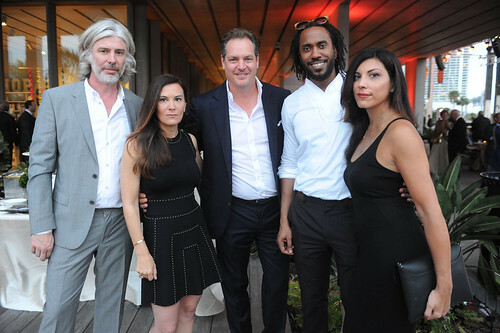 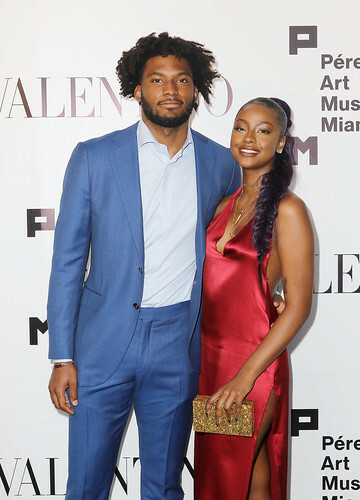 The event, which honored contemporary artist Lorna Simpson, had its highest attendance to date, and raised more than $1.1 million for the museum’s robust education program, the largest outside the Miami-Dade County school system. 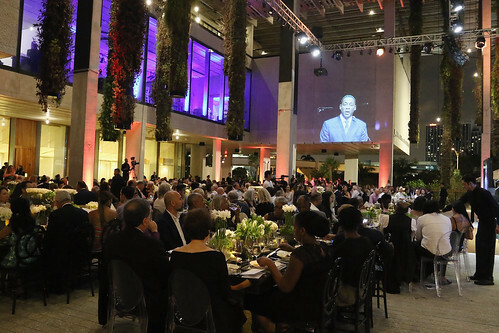 The highly anticipated evening, conceptualized by Lee Brian Schrager, featured three exclusive experiences – Chef’s Table seated dinner, Supper Club lounge and Remix after party – with delicious culinary collaborations by STARR Catering Group and Chef Michael Schwartz. 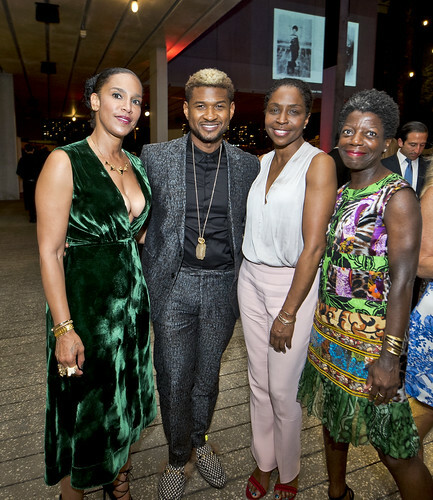 At the Chef’s Table, Pérez Art Museum Miami Director Franklin Sirmans celebrated Lorna Simpson, an acclaimed conceptual photographer and painter, and one of the leading female artists working today. 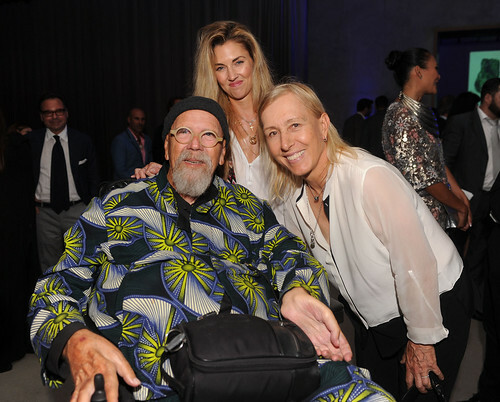 Her work has been vitally important to the evolution of PAMM for the last twenty years. 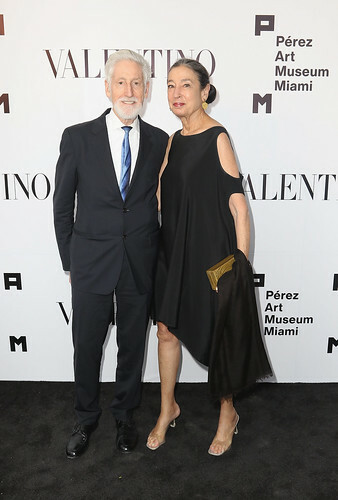 In 1997, felt works by the artist were exhibited at the museum, and in 2006, a survey exhibition of Simpson's work traveled to the institution. 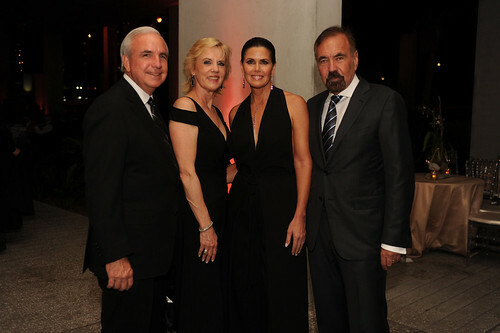 Her seminal work Still (1997) was included in AMERICANA, PAMM’s inaugural exhibition series in its new building. 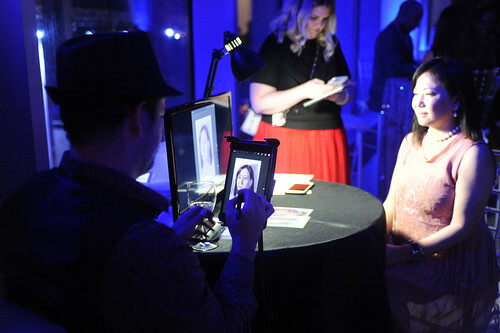 Simultaneously in the museum’s second-floor special exhibition galleries, Supper Club partygoers enjoyed a chic and provocative setting with live musical sets by DJ Phaxas and interactive art stations, including a virtual reality painting activation, portrait artists and a photo booth inspired by PAMM’s most recent special exhibition, Julio Le Parc: Form into Action. 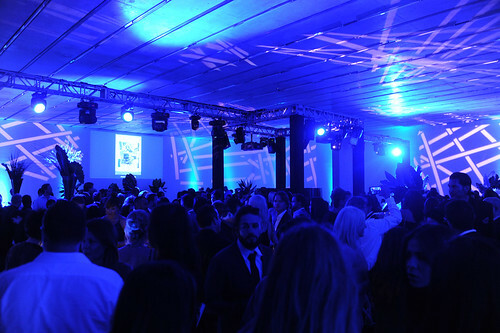 The evening culminated with the Remix after party, a vibrant dance club set to the soundtrack of Project Soul and Phaxas, with a dessert extravaganza, featuring specialties by local favorites Azucar Ice Cream Company, Fireman Derek's Bake Shop, Madruga Bakery, MdoughW and Michael’s Genuine® Food & Drink. 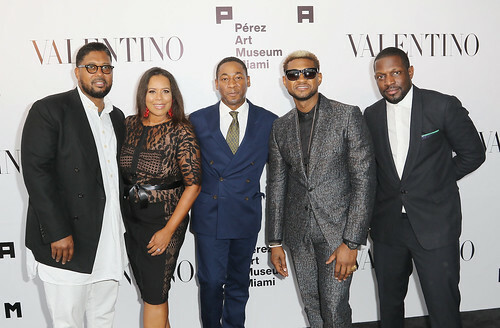 Among the prominent guests in attendance were: Usher and Grace Miguel Raymond, musician and music executive; Justise Winslow, Miami HEAT player; Justine Skye, singer and model; Barbara Becker, designer and model; Martina Navratilova and Julia Lemigova, retired Czech and American tennis player and former model; Sam Champion, former GMA and Weather Channel weather anchor; Carlos A. Giménez, Mayor of Miami-Dade County; Raúl “El Gordo” De Molina, co-host of El Gordo y la Flaca; Noah Horowitz, Art Basel director Americas; Ana Navarro, Republican strategist and commentator; Thelma Golden, director and chief curator of The Studio Museum in Harlem; Princess Firyal of Jordan; Kastyn Reid, model; Sir David Adjaye, world-renowned architect; Rula Jebreal, journalist, author and foreign policy analyst; Juliana Ramirez, wife of professional baseball player Manny Ramirez; Larry Warsh, art collector; Posdnuos of hip-hop trio De La Soul; Tom Healy, American writer and poet; Jayson Jackson, CEO of Okayplayer; Rudabeh Shahbazi, CBS 4 anchor and the evening’s emcee; Lisa Petrillo, CBS4 entertainment and lifestyle reporter; Alexandra Villoch, president and publisher Miami Herald Media Company; Heather Hannon, prominent fashion stylist & consultant; artists Chuck Close, Glenn Ligon, Rashid Johnson, and Sheree Hovsepian; and Miami artists Carlos Betancourt, Edouard Duval-Carrié, Adler Guerrier, Mark Handforth, Michele Oka Doner, Rubem Robierb, and Agustina Woodgate.